"The fans should know that we are not a company that is sitting in a little ivory tower and not thinking about all of these dynamics. [We're] a company that likes to keep our information very close to the vest, and announce information when it's ready and when all of the elements are fully fleshed out. We love to surprise people. We also believe that the consumer should have the information when they're ready to act on it. Telling someone about a game that's four of five, six years away from actually launching? Just doesn't make a ton of sense to us. But sharing information in order to frame how we are looking at a franchise, looking at an IP, that's something we do very thoughtfully. A hypothetical on one message board gets picked up on another message board as fact. That is the nature of the state of the industry today. And that's why we do want to manage our messaging so closely. As we look at the overall business, we're constantly looking to do the right thing for the consumer. (With Switch at launch) We actually sold through almost 2.8 million units (as opposed to the expected initial shipment of 2 million), so we dramatically over delivered. And yet, demand outpaces supply. So what do some of the consumers on Reddit say? 'Gosh, Nintendo, if you would've made more you would've sold more.' Well, we did make more! And certainly we're on a pace to supply in the current fiscal year 10 million units. I think if you were to go back and look at some of these comments, you would actually see that the issues have been resolved, but it's happening at a pace that is later than maybe where the commenters would like the resolution to be. But it happens. And the solution is there." I understand Nintendo liking to keep secrets and surprise the consumer. I really do get it. The issue is, I think Nintendo sometimes keeps too much secret on their content. Sometimes we want to know all the online details of a game before it comes out. We want to know the options and modes. It's one thing to spoil story content, but consumers wouldn't be upset knowing more about the bells and whistles a game has before it launches. We also believe that the consumer should have the information when they&apos;re ready to act on it. Telling someone about a game that&apos;s four of five, six years away from actually launching? Just doesn&apos;t make a ton of sense to us. I love Nintendo&apos;s way of not announcing games until they are relatively close to release... obviously doesn&apos;t happen in all cases, such as Zelda. Waiting years for a game is not only painful but sometimes actually crushes my hype. I even started to get over BotW, but thankfully the game ended up being so damn good that it didn&apos;t matter. I&apos;m much more hyped going into Odyssey next month. The way Nintendo handles business if fine in most cases. I like their unorthodox approach. While I do admit Nintendo&apos;s secrecy gets outright frustrating at many points, it&apos;s a quality that has defined them for a long time, and that many of us have grown used to. It certainly also helps manage hype, it&apos;s nice to know that 9/10 times Nintendo announces a game it&apos;s usually within 12 months or less of coming out. 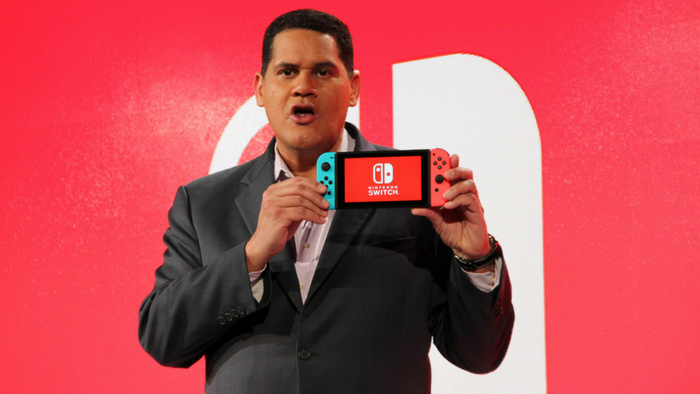 As for the Switch situation, it&apos;s frustrating both for consumers and Nintendo, and yet regardless of how many reports both from them and independent sources verify that the production issues are out of their control, many people still like to paint the idea that Nintendo is actively limiting supply. I really hope that situation can end soon, Nintendo has a smash hit with the Switch and it&apos;s disappointing they are unable to keep up with demand and can&apos;t do much about it. I really have no issues of when they announce stuff so long as they have stuff to announce and not make it sound like they are running out of options. I might still need to know about a secret or two before I Switch. 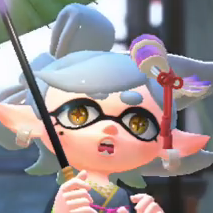 Odyssey, Splatoon 2 and MK8 Deluxe DLC should have been brought to Wii U as well. There was just no reason to end the platform here. Switch should have been named &apos;Coexist&apos; or something. Ending and starting over a platform like this is only for N-ca$h reasons and is swarming our planet with even more unused machines. The tech industry should drastically change imho. The internet just likes to complain about Nintendo&apos;s product supply strategy. Nintendo told all and sundry that they were producing 2 million units for launch. There certainly wasn&apos;t a wave of excitement for it and many analysts and internet forummers(?) were still sceptical about it being a big hit. Yet, after launch ppl said Nintendo restricted supply despite sales being at 2.8 million not long after launch. Ridiculous. I like their relatively new approach of announcing games close to release. Apart from the online/app being abysmal, they&apos;re doing a great job.